• Number of pronghorn seen: approximately six. Five before I even left Umatilla County. • Funniest road sign: Someone added “I <3” to a “Livestock” sign. • Pictures taken: 124. Yikes. Anyone who told me to “take lots of pictures” is soon to regret that. So, I think I owe Lake County, OR an apology for calling it BFE. I mean, it still IS BFE, but it’s a pretty damn attractive BFE. Aside from random factoids, there’s really not much to say about today. Driving driving driving. Occasionally pulling over and taking random pictures of crap. Rest stops. Gas. And finally, a Subway sandwich. 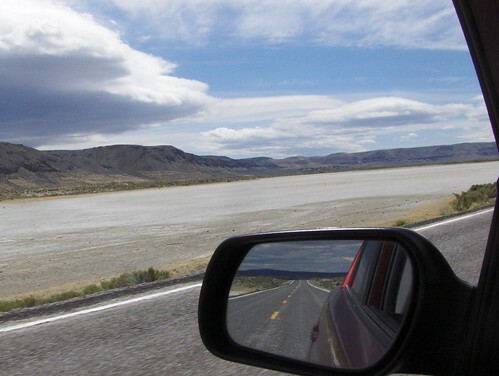 I have to say, though, Highway 395 is pretty awesome. Empty, but not empty enough that if you needed a ride to the next gas station, no one would ever come along. Lots of pull outs, and the occasional park or rest stop. Hardly any trucks driving on it. So it was a pretty laid back drive, even if it WAS insanely long. Rather than flood this blog post with pictures, here are some of the highlights, and you can see the rest here. Please note that many of these were taken out the window of the moving car while looking at the road, not the camera. Thus, there is a low level of quality. 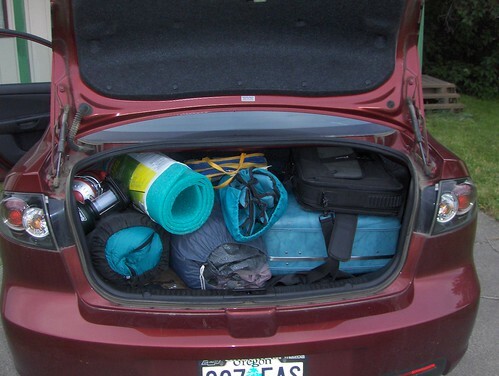 How much stuff can I fit in the trunk of the Mazda? The answer is A LOT. Yikes! 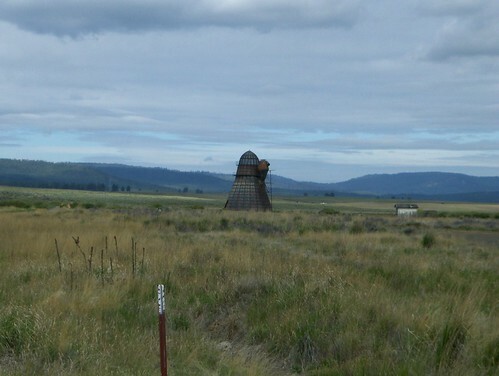 There’s a Dalek in Seneca! 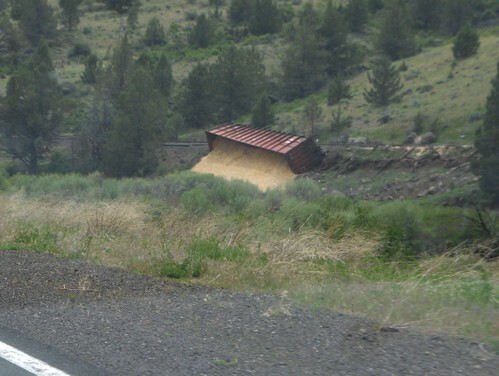 Dumped over train car, just hanging out, at the entrance to the XL Reservation.